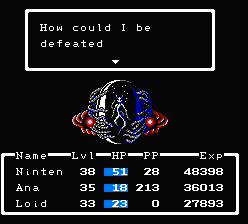 This is my first blog on destructiod and I wanted it to be about something I really loved that's related to gaming. 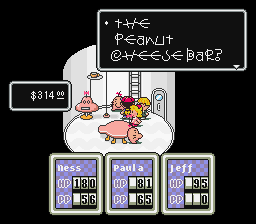 After some thought I gave up and started looking at some old blogs on the front page and came across the whole "why ... is the greatest video game series of all time" and wanted to make one myself but for Earthbound so here goes. 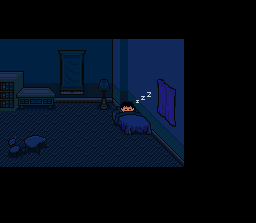 The game sarts off with a normal boy sleeping in the night on an average day in the 90s. Everyone knows what's awesome about that right! Nothing at all! because that's what normal life is like. Normal. It's not his birthday, it's not christmas, he not been orphaned in some mystrious way because that wouldn't be normal. 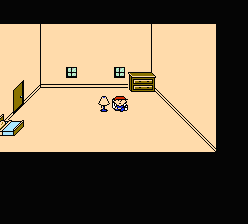 But in his normal life you can find it easy to relate to Ness. Esspecially his friendship with Porky. I think Dane Cook said it best "In every group of people there is always a friend that nobody f*cking likes!" Porky is that friend. He's fat, egostical and lazy (The bastards so lazy he won't even attack to save his own life against a group of wild animals!) 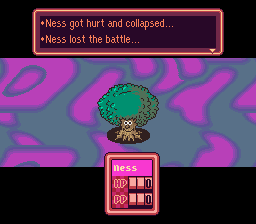 You're not playing as Ness. 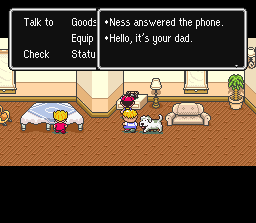 You ARE Ness. An average kid put in a strange new world. 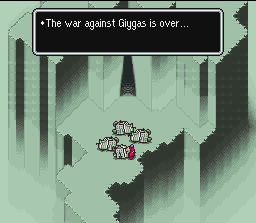 But Mother 3 starts off with Lucas, the new main character, and his family being trapped in a forest fire and the attack from a robotic drago which kills not only his mother but possibly his brother Claus and makes his dad so guiltly that he goes (In my opinion) off the deep end and completely abandons him to try to search for his supposely dead brother (They never found the body) Lucas's life is screwed up so badly yet you can still relate to him as all the crap in his life is his own fault in a way. 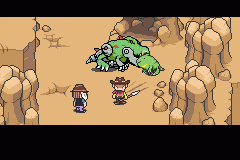 HE got lost in the woods so his mother died protecting HIM, HE didn't stop his brother when he went to fight the drago and HE couldn't help find Claus. 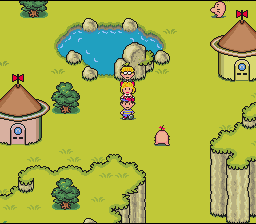 The game gives you the idea that you're controlling Lucas's life because he can't do it himself. You're his voice of reason and I loved every second of doing it. This one will be short and sweet. 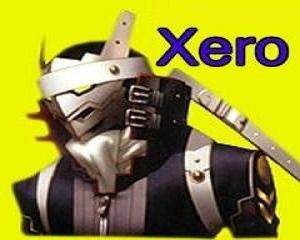 The game is funny case closed. If you can go the whole game with even a chuckle then you're inhuman. 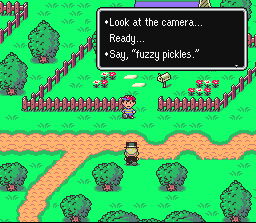 When Itoi, the creator, was making this game he ovbiously had a good idea of why you play throuh the tedious parts of a game. The rewards. 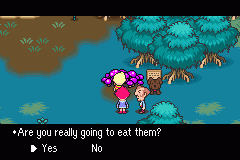 Earthbound and Mother 3 have parts where you can go out of your way for a laugh. 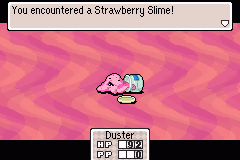 In Mother 3 sometimes you'll fight a high level enemy just for a box with a fart inside and in Earthbound you might grind for money to buy a house in the suburbs only to find it's completely wrecked but at least you found a good book right? 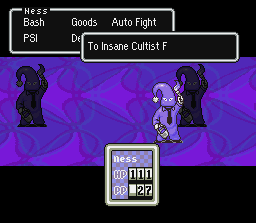 It doesn't force you to do this and there's nothing to can really unlock for doing this but you do it anyways because you're playing through this game not have a good time and you're suceeding. You're having fun. 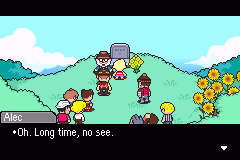 When something is loved as much as Earthbound people usually think that if a game has that much hype it's probably too good to be true. 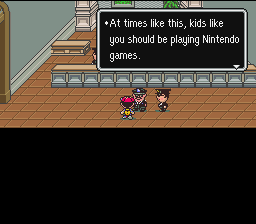 Fortunately this is not the case with Earthbound. 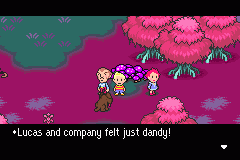 It's almost physically impossible to not be able to find something you like about Earthbound/Mother 3 (I say almost as some people who just don't like video games) It's so... everything! It's smart but stupid, the it's turn based but it's real time, It's random but makes so much sense. 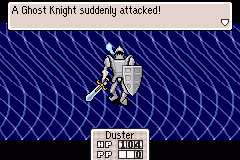 It's like if we put Jesus Christ into a Snes and then a GBA cartridge.